Blackberry has officially launched a new smartphone called Blackberry Aurora - the first Blackberry branded smartphone with DUAL-SIM slot. Are you surprised? Yes! 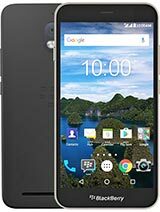 First Blackberry branded smartphone with Dual-SIM slot and runs on Android 7.0 Nougat. Well, the first dual-SIM BlackBerry SIM is here. It is by BB Merah Putih, the company that holds the license for making, marketing, and selling BlackBerry-branded smartphones in Indonesia. The Aurora is also the first BlackBerry-branded device to ever be produced in Indonesia. It came with an awesome specifications and features. Have a look at the full specifications as well as the price below. Blackberry Aurora dual SIM specifications. Blackberry Aurora released date. Blackberry Aurora price in India, China, Kenya, Nigeria.